New research from the University of Southampton suggests that there are more employees in the voluntary sector than previously thought. The research uses data from the 2008 National Survey of Third Sector Organisations (NSTSO). It estimates that there were more than 1.1 million full-time equivalent employees in England in 2008, or just over 5 per cent of the workforce. This is higher than previous estimates, which are regularly calculated using data from the Labour Force Survey. Results of this survey for the last quarter of 2011 put the sector’s total workforce at 759,000, up from around 750,000 in 2008. The research, produced by the Third Sector Research Centre (TSRC) at the University, highlights the importance of thinking about different surveys and the information they are likely to capture. The NSTSO is likely to capture a broader range of organisations. It surveyed organisations in England that could be ‘seen to serve social, cultural and environmental objectives’, whereas the Labour Force Survey asks individuals if they work for a ‘charity, voluntary organisation or trust’. However, this does not discount the usefulness of the Labour Force Survey. This has been carried out on a quarterly basis for nearly 20 years, allowing us to reliably measure growth in employment as well as the characteristics of those working in the sector. The NSTSO was carried out for the first time in 2008. It also allows us to analyse the regional distribution of third sector employees. London has at least a quarter of all third sector employment in England. This is followed by the South East, with 17 per cent. Much of this can be explained by the number of head offices based in London and the South East. The data source would also enable future research on the numbers of third sector workplaces and third sector employment for local authorities. The research also looks at the share of employment accounted for by the sector in each region. In London, the sector accounts for 9.5 per cent of employees, compared to 5.6 per cent nationally. In the East Midlands it accounts for just 3.8 per cent. In areas generally considered to comprise some of the more disadvantaged parts of the country – the North East, Yorkshire and Humber and the North West – the regions’ share of third sector employment is less than its share of total employment. This raises questions about whether the sector can provide substantial job opportunities in areas of disadvantage. 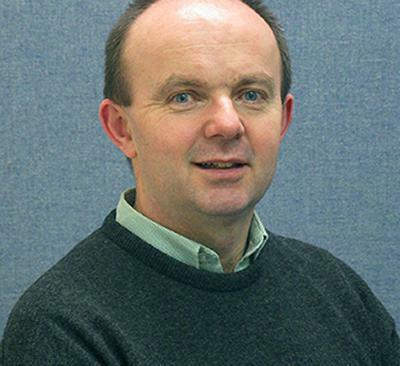 The research paper ‘The regional distribution of employees in the third sector in England: estimates from the national survey of third sector organisations (NSTSO)’ was carried out by Professor John Mohan and Dr Frida Geyne-Rajme of the Third Sector Research Centre at the University of Southampton. This research complements regular research that the TSRC carries out on the voluntary sector workforce, in partnership with Skills Third Sector and the National Council for Voluntary Organisations (NCVO), including the production of a workforce almanac.